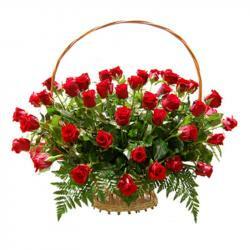 Product Consist : Basket Arrangement of 12 Red Roses. 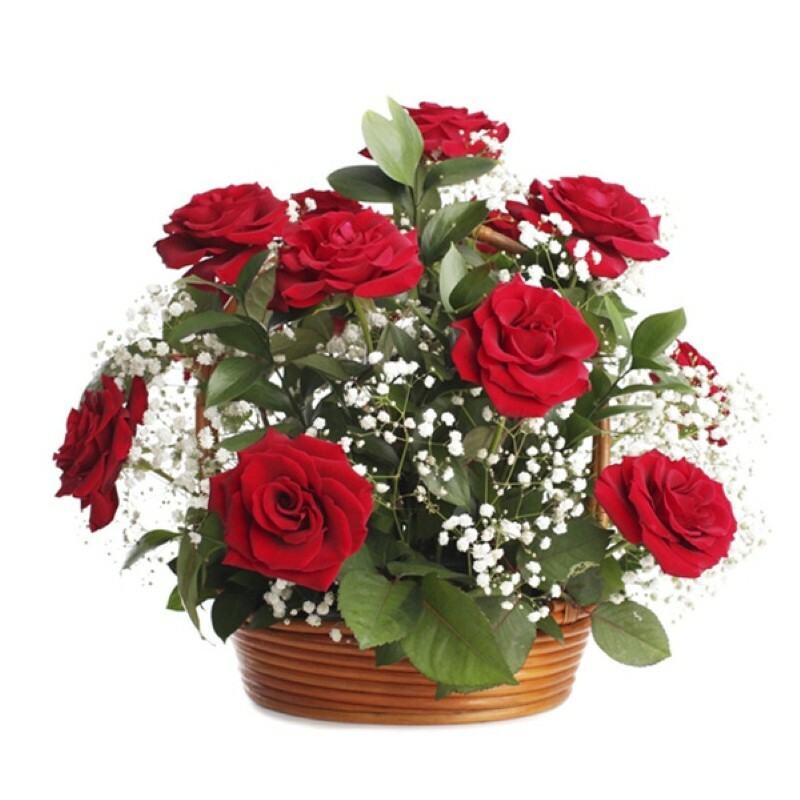 Let someone special to know that they are always in your heart of this alluring floral arrangement of Red Roses. 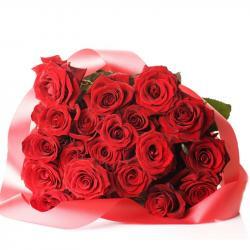 Red rose is symbol of love and the best gift to convey your deepest thoughts and emotions. 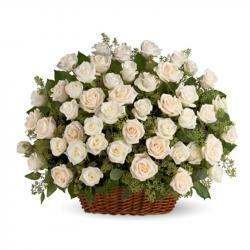 So go head and give this beautiful twelve stems of red roses and declare you are in love. 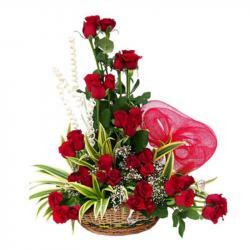 Product Includes : Basket Arrangement of 12 Red Roses.